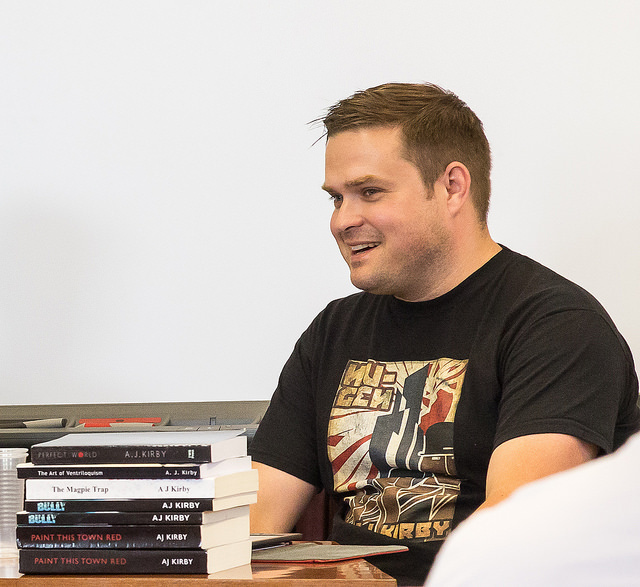 Author AJ Kirby tells us what it means to him to be a Leeds writer. 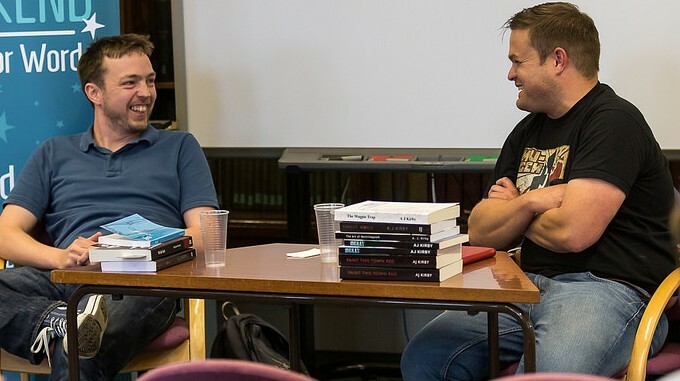 Back in November my esteemed colleague Richard Smyth (the author) and I were invited to appear on the panel for a public talk as part of the Re-Writing Yorkshire series at the fantastic The Leeds Library (a venue which if you haven’t experienced yet, I urge you to visit). The events were organised by Leeds Beckett University as a part of their new Creative Writing course and were hosted/ chaired/ ring-mastered by Dr Rachel Connor, Senior Lecturer in Cultural Studies and Humanities at the university. The focus of the event was the literary scene in Yorkshire, and in Leeds in particular. Panellists and audience were asked to consider what effect, if any, writing in Leeds has on an author; and is there such a thing as a Leeds writer? 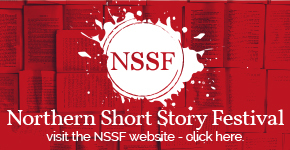 One of the main reasons Richard and I were asked is because of our strong links with the Big Bookend festival and our shared knowledge of the on-the-ground writing scene here in the city. Another reason was because Richard and I are, in effect, bookends ourselves. We’re polar opposites. I’m not just talking about our relative waist-lines. I’m also talking about our perspectives. As we discovered during the talk, I am of a mind that my writing is very much informed by the city in which I’ve lived most of my life. For me, location is everything. I call myself a Leeds writer. For Richard, it’s something different (as was showcased by his readings: in one of them he pulled off a pitch-perfect New York accent and his argument: Richard commented: “What does it mean to be a Leeds writer? I’m pretty sure I am one. I was brought up here – but I’m not sure what that says about my writing, or even if it says anything at all.) By pitting our perspectives against each other, lively debate ensued. One of the main reasons I feel location is so important to my writing is the kind of writing I do. I write crime and dark fiction stories and location, setting, milieu are arguably more important to these genres than any other. This is painted with rather broad brush-strokes but you can trace it back to the old Sherlock Holmes stories in which an ordered society (a location) becomes disordered by a crime and it is the job of the detective to restore order by solving that crime. And then Raymond Carver came along and changed everything by making his setting – LA – perhaps the main character of his books. The greats of crime fiction are associated with their settings, their crime scenes, as much as they are the detectives or policemen they create: think Rankin’s Edinburgh, Peace’s West Yorkshire for example. In crime fiction we necessarily inhabit the city more fully than we do in other fictions. Crime stories are by their very nature procedural. Literally, we follow the detective’s footsteps as he walks the line from place to place. I have written many versions of Leeds in my stories and I’ve always felt I must truly know the place before representing it in my fiction in order that it does not sound discordant. To a point. There is a sense that everything set down on paper is re-imagined by the author, made artificial by his or her ‘art’. And as such writers like Richard can inhabit a New York from before he was born and make it sound just as real as my minute, procedural investigations of contemporary Leeds. What’s really weird is that even as I was arguing with Richard about the existence or otherwise of a Leeds writer I was right in the middle of the endgame of my new novel Small Man Syndrome which is a dark, psychological crime story set in a completely made-up village in Burgundy, France. The novel – which has just been published by Wild Wolf Publishing – is about as far from a ‘Leeds novel’ as you could get. Don’t get me wrong, I haven’t gone in for any complicated ‘world-building’ as you might expect in a sci-fi story. I’ve been to Burgundy many times and know it well. I know the climate, the topography, the lay of the land. But in this novel I didn’t feel the need to Google Earth the whole damned thing as I was penning it. Nor did I saddle-up Shanks’ Pony and walk the streets for myself as I have done many times whilst writing my other fictions. And do you know what? It was actually quite freeing. It allowed me to write the novel in a different way. Once I’d cranked open the right-side of my brain a little wider than I usually do, all kinds of new stuff crept through the gap and – I think – enriched the writing of it. I thought I’d discovered a totally new style (for me). One last point. Before the book was published I read through it again with fresh eyes and I changed my opinion of it yet again. I realised that despite the location change, the voice, the attitude remained consistent with much of the rest of my writing. And that voice? Had – yes – a Leeds accent. I may not have written a Leeds novel, but I’m definitely still a Leeds writer. 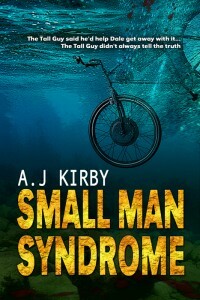 SM ALL MAN SYNDROME is published by Wild Wolf Publishing. You can buy it here. When Dale finds himself stuck behind a cyclist on a lonely road in France one obscene gesture is all it takes for the monster inside him to be released. This one snap decision is all it takes to send the lives of Dale Lightwood and his family into a terrifying downward spiral. 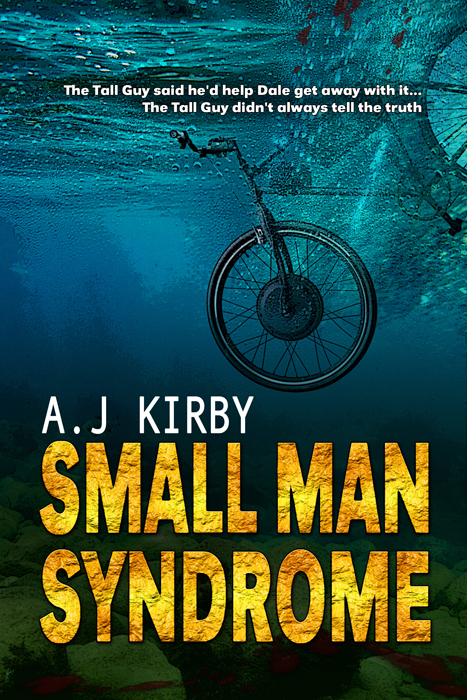 AJ Kirby is the author of the novels Small Man Syndrome, The Sleep of Reason Produces Monsters, A Man Could Lose Himself, Things Won’t Fix, When Elephants walk through the Gorbals, Paint this Town Red, Bully, Perfect World and Sharkways. He was one of 20 Leeds-based authors under 40 short listed for the LS13 competition and his novel Paint this Town Red was short listed for The Guardian Not the Booker prize (2012). Next story We’re Having a Fundraising Second Hand Book Sale on Saturday 30th January!